I’ve got another piece about body language on this site, and it all falls under the umbrella of non-verbal communication. Communication has to be approached from a scientific angle. This is going to be how a girl notices you, and you can read her attraction and escalate the situation without being creepy or oppressive. This content is worth understanding in any walk of life. But dating is an interaction with a physical aim (regardless of how much substance you’re looking for) that non-verbal communication skills are nothing short of a survival kit in the world of seduction. To understand the impact of non-verbal communication in the world of dating, it’s important to first think about what communication is at its core. Communication is defined as at least two entities sending and receiving information to each other. Those entities can be phones, four thousand Macbooks, three gibbons, or you and a girl at the bar. Communication, needless to say, is at the centre of mastering attraction. It is the means by which attraction is conveyed and received. Picture in your head how few of the words you say matter. 93% of the way you communicate comes from what you don’t say. You know when you earn a spot in a girl’s bad books, and you ask how she is ten minutes later and get a ‘fine’ but her eyes, tone of voice, body posture, and distance all suggest that she wants to throw things at you? That is the non-verbal communication definition in motion. It’s everything you’re saying outside of the words you’re using. That is an immense scope of aspects to consider, but mastering this will be like any martial art. Time, repetition, and constant patience will see successful application in the field. As your confidence grows, so too will confident body language and non-verbal communication skills. 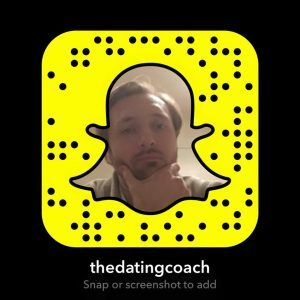 Guys tend to go out with groups of guys, and that was my problem before starting my journey to dating mastery. The problem is there exists an entirely different set of non-verbal communication rules for both men and women, so we have to think more actively about how we are around women in a dating scenario. I shouldn’t take too much thoughtm however and, will come as a natural symptom of working on your headspace first. Be easy, let your arms hang loose, keep you back straight, shoulders back and head high with a smile for everyone. This non-verbally communicates assuredness, openness, and a sense of fun. These are hallmarks of confidence and attractiveness. Facial expressions are crucial to both emitting and receiving signals and body language signs. Try to have as little control as possible, as we rarely have as much hold on our facial expressions as we think. They have a deep and rapid emotional trigger, and human beings are so quick to pick up the slightest waver. The only way to handle them is to focus on the rest of your body language and have a genuine conversation. There’s another article on the site that emphasises body language, and especially reading it, in more detail. However, from this, simply know that making your body language warm and reactive, and responsive to what she is doing and how she is moving, will be the key to knowing when to lead her onwards. Knowing how to read female body language is essential to the success of a date. It’s crazy to think that not only what you’re doing and saying but where you’re standing makes a difference too. Think about it: if you’re standing and chatting to two people, one of whom you like more, you’re subconsciously (or perhaps even consciously) going to stand near the one you prefer, or lean in more proactively. Even your dress sense says multitudes about you. Likewise, if a girl doesn’t like you, she will aim to position herself as far away from you as possible. Don’t follow her around. Talk to other girls, and if the sense of competition doesn’t attract her back to you, then it won’t matter anyway. More careful management of distance occurs during dating, and if you’re already at a pre-ordained place, she’s obviously not going to sit at the other side of the room. You have to gauge things like how far back in her chair she’s sitting, or whether she’s leaning in. If you’re picking up strong body language signs such as her stroking her neck or lips, take the lead on closing the distance – move to a sofa or adjacent seats. Whenever you’re not reading, you’re leading, and distance can often be an important one to consider when closing. Speak from a place of authenticity and decisiveness. If you’re insincere, it is only a matter of time before your words start losing believability. This point is directly linked to the confidence and positivity in your head, and it’s one of the elements of non-verbal communication that we have little control over as emotions affect it so drastically. The road to core confidence is long and hard but if you’re serious about your journey to self-esteem, get in touch through the site and let’s see if I can’t completely change the way you present yourself – inside and out. If a quicker fix is on your radar, you can try vocal training or even something like improvisational comedy classes to bring you out of your comfort zone and grant a natural dynamism to your voice. Women want to see energy and the ability to command respect while talking. That won’t happen unless you’re using your diaphragm and the full capacity of your lungs. Through non-verbal communication, flirting is also in the things that you don’t say. This means pausing appropriately, always giving yourself space to breathe, and being natural. With all the heightened physical sensations going on, you need to keep yourself comfortable, and this can be moderated through the pacing of the words. Let the woman you’re talking to do about 60 percent of the talking. Assertive tone of voice will come with conviction in your beliefs and a genuine interest in the world around you and the women to whom you’re talking. Do everything you can to cultivate that – things you enjoy and activities that get you out with other people who love the same things – and you will sound like a guy that knows what he’s talking about. That’s attractive. Touch might seem more important for the physical element of a successful encounter, but within non-verbal communication skills, even the slightest touch is an excellent way to make a connection and start to break down social boundaries. That’s not saying be handsy (unless invited) but a handshake, friendly hug, or light hand on the back are all great moves to initiate contact. You can shift to more direct flirting later. Girls are very touchy when they’re growing sexually comfortable with you, especially on the chest and shoulder, normally accompanying a laugh or empathic gesture. Know when to reciprocate and respond in kind and always match her. You can then use eye contact as a gauge for when to kiss. None of these are things you should actively be concerned about. Effective non-verbal communicators are born from core confidence and high self-esteem.